Yesterday marked the last day of summer, despite the fact that there has been a decidedly autumnal nip in the air for the past couple of weeks. But what a fantastic summer it has been on Girley Bog. I’ve enjoyed meeting lots of different people, going on bog walks and discovering a few ‘firsts’, in terms of plants, birds and bugs. 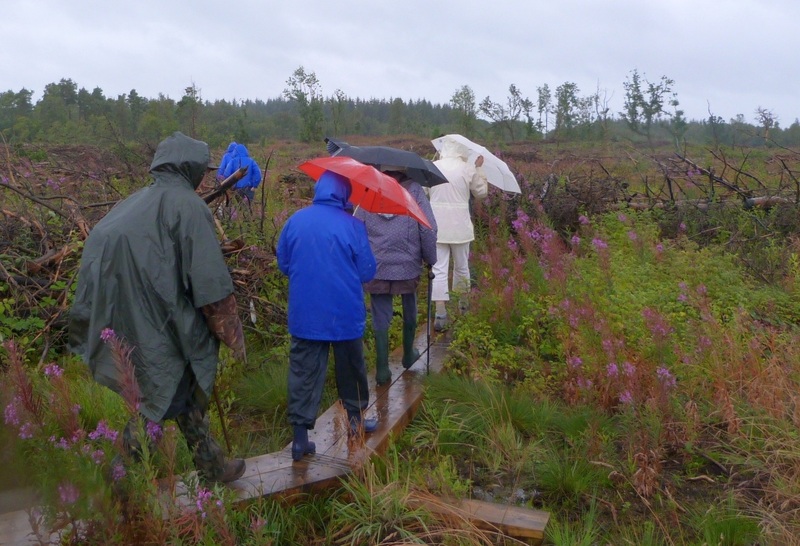 The bog was host to a number of events this year, from foraging walks to scavenger hunts for younger visitors. 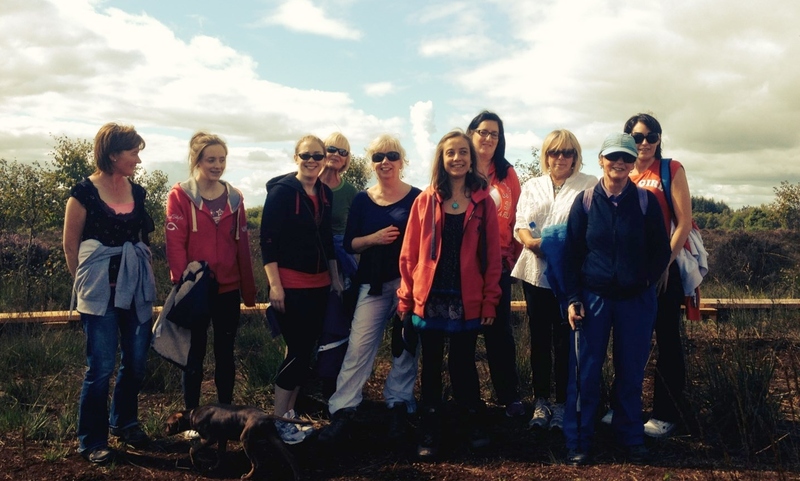 The first event kicked off during Biodiversity week in May, when the Irish Peatland Conservation Council led a walk around the loop of Girley Bog taking in its wide variety of habitats and stopping off at their newly purchased piece of bogland. The next event coincided with the Hay Literary Festival in Kells, when I led a group around the bog taking in the new Coillte boardwalk. This is proving a great hit with locals and visitors alike. 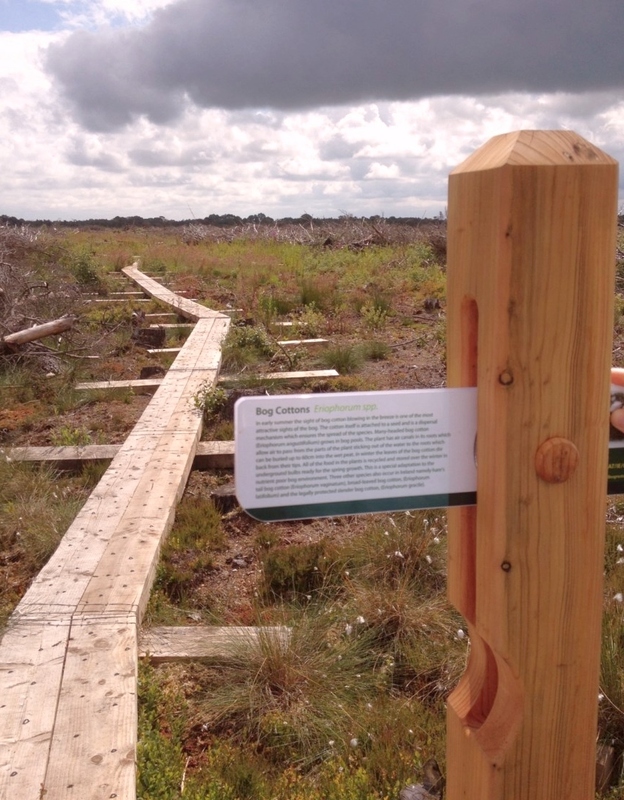 Boardwalks are a great way of enabling people to access bog habitats without getting their feet wet or damaging the delicate Sphagnum moss layer on the surface of the bog. My next organised walk was for International Bog Day on July 29th, and was one of several events arranged all over the country by the IPCC. 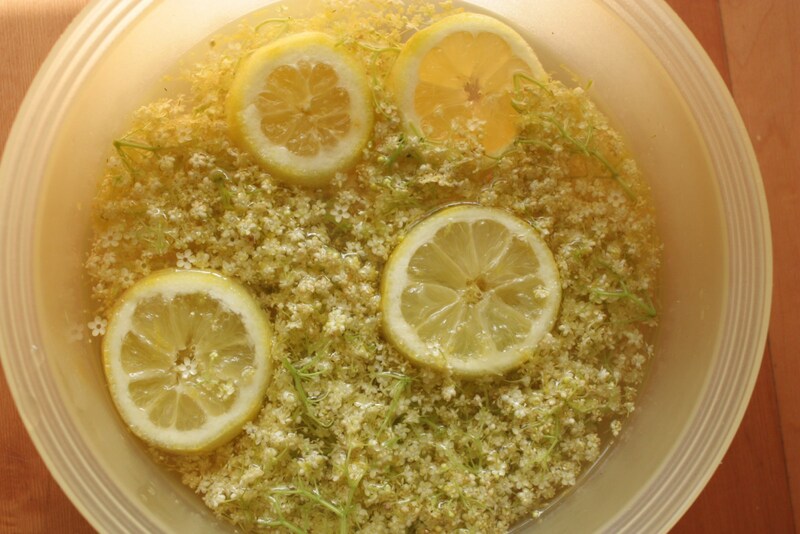 We had some lovely Elderflower Cordial to finish, foraged from Elder trees growing at the edge of the Girley Bog Nature Reserve. This walk also offered great learning opportunities as particpants pointed out wildlife and shared their knowledge and wildlife observation skills. 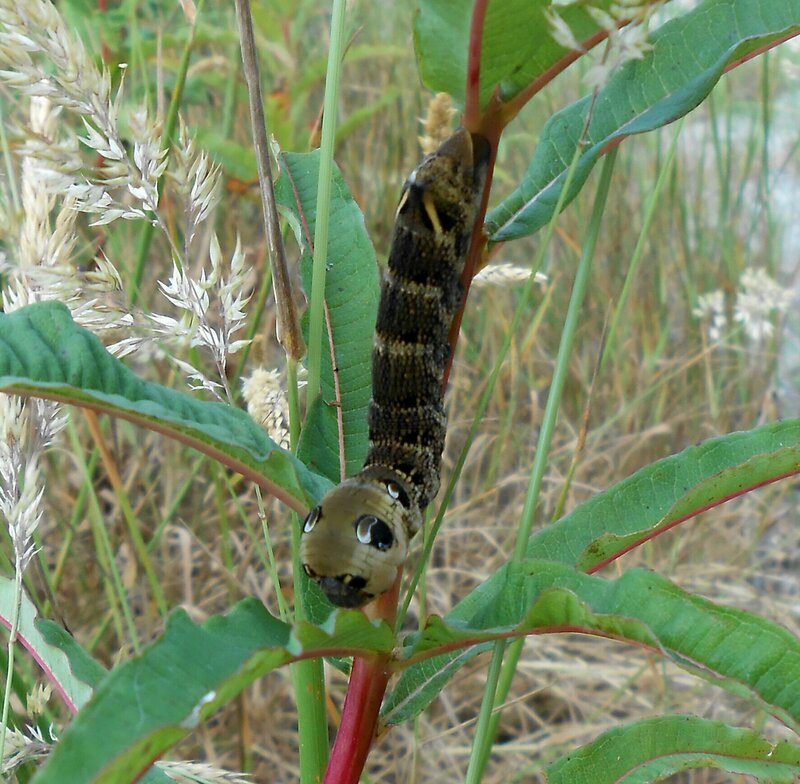 A friend from Dublin, who used to help out with our pond dipping events in the Botanic Gardens, was thrilled to spot the beautiful Elephant hawkmoth caterpillar below. Another younger member of the group (a future ornithologist or wildlife ranger in the making!) 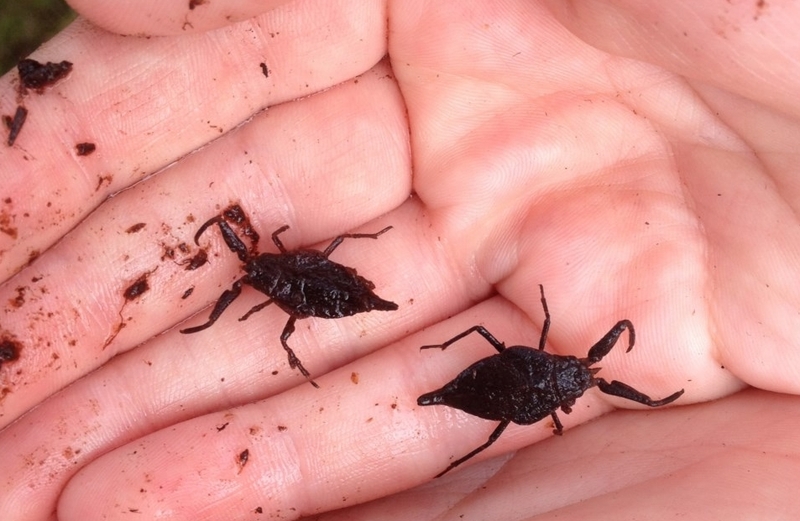 gave us a running commentary on every bug, bird and mini-beast we happened across, including the water scorpions below. His knowledge was astounding and his enthusiasm for wildlife was infectious, bringing added value and fun to our walk. 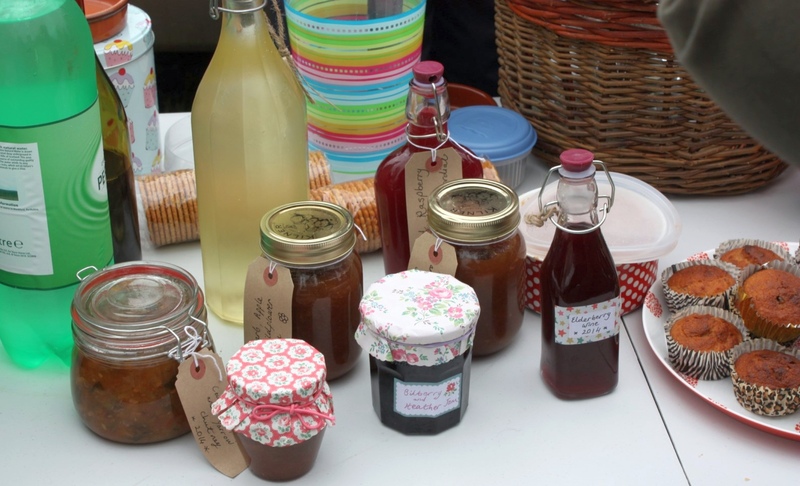 My next walk was a foraging and wild food picnic held as part of the Boyne Valley Food Series. I enjoyed the process of collecting ingredients from the wild, researching their health benefits and transforming them into something tasty to eat or drink. Participants learned about edible plants & flowers and discovered what plant families were safe to eat and which to avoid. A lot of preparation went into the picnic, so you can imagine my disappointment when, in the words of one of the participants, the rain was bucketing down on the appointed day. However, despite the day being decidedly ‘soft’ (that wonderful Irish euphemism), and despite the slightly soggy Bilberry muffins, everyone took it in their stride and enjoyed the picnic, hopefully helped by the warm Chicory coffee and the warming Elderberry Wine! The Purple Page wrote a lovely blog post, which you can read here for more details on our foraging escapade. The post also highlights one of the golden rules of foraging: pick a third for yourself, leave a third for the birds and other foragers, and leave a third for the plant to propagate itself. Foraging is about having enough for your supper rather than enough in your store cupboard for the winter! 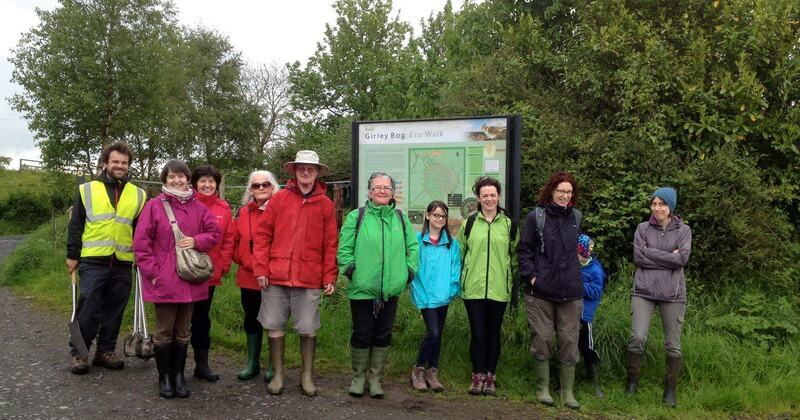 Heritage Week was a busy time with a number of guided walks, talks and exhibitions on Girley Bog. The first group went out on Saturday 23rd August, and the photo caption below was a comment left on Facebook when one viewer saw the photo of our decidedly gender-biased group! Is this why they call it Girly Bog? As part of Heritage Week, I was asked to organise an exhibition of some of my photos which was held at Kells Library for the month of August. I was also delighted to have an image chosen to be part of UCD’s Images of Research archive, a permanent digital image collection that the college uses to communicate all aspects of research at the university. I look forward to doing another blog post on some of the plants I saw this summer for the first time on Girley Bog, including the Oblong leaved Sundew below. Oblong-leaved Sundew with the undigested remains of insects still attached! The IPCC also organised a walk for Heritage week, which took place on Sunday 31st August. We walked to their recently purchased section of the bog and were shown restoration work being undertaken there, including drain blocking and sphagnum cultivation trials. There was also pond dipping and a scavenger hunt for kids, as well as a bog formation demonstration using a ‘bog in a bottle’ model. I especially enjoyed this walk as I was able to kick back and relax and let someone else do the talking!! Many people this summer (many of them Irish!) commented that they never realised bog landscapes had so much going on in terms of plants and wildlife. 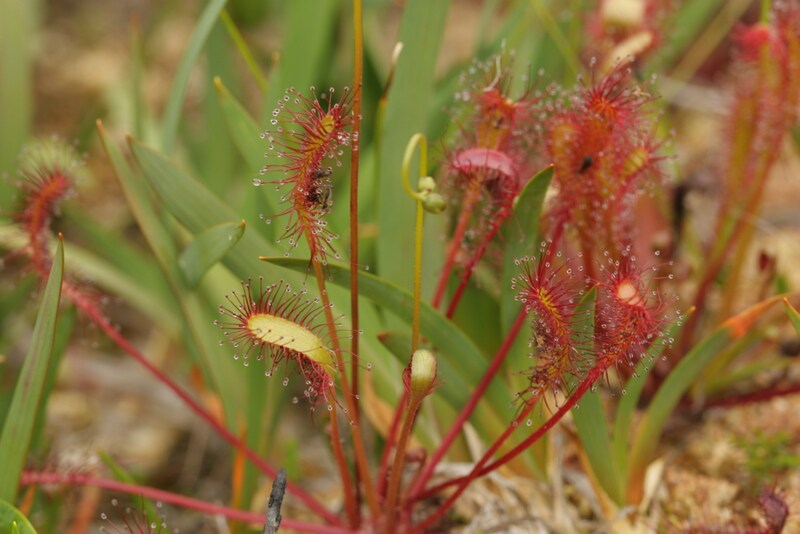 Some had never seen a Sundew in real life before or realised how tiny they were. Others said they never realised cranberries and bilberries grew in the wild in Ireland. 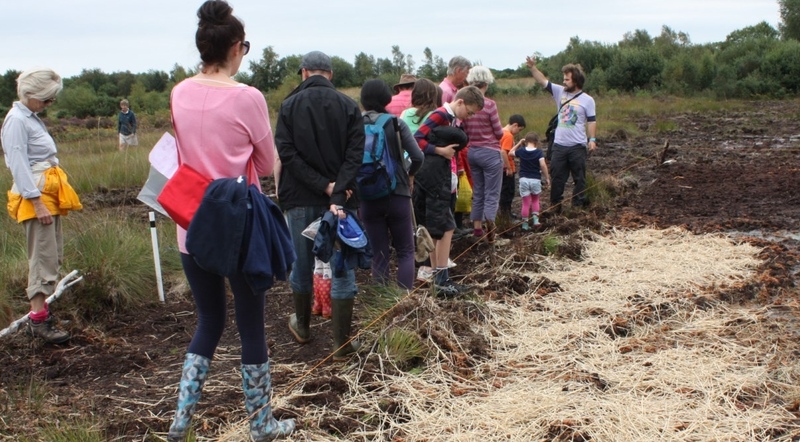 The events and walks on Girley Bog this year show the importance of interpreting bog landscapes and how this can play a key role in helping current and future generations understand the importance of peatland conservation. I leave you with the thought that today, 1st September 2014, marks the centenary of the death of Martha, a passenger pigeon who was the last known individual of a species that once numbered in the billions. 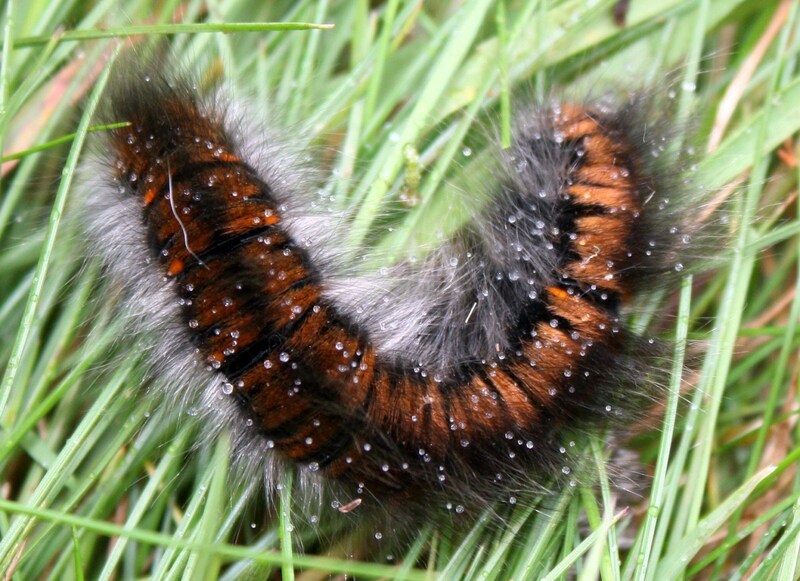 Even species we think of as common can become extinct if their habitat disappears. Our raised bog resource in Ireland is not so common that we can afford to be complacent about its protection or risk losing it forever. 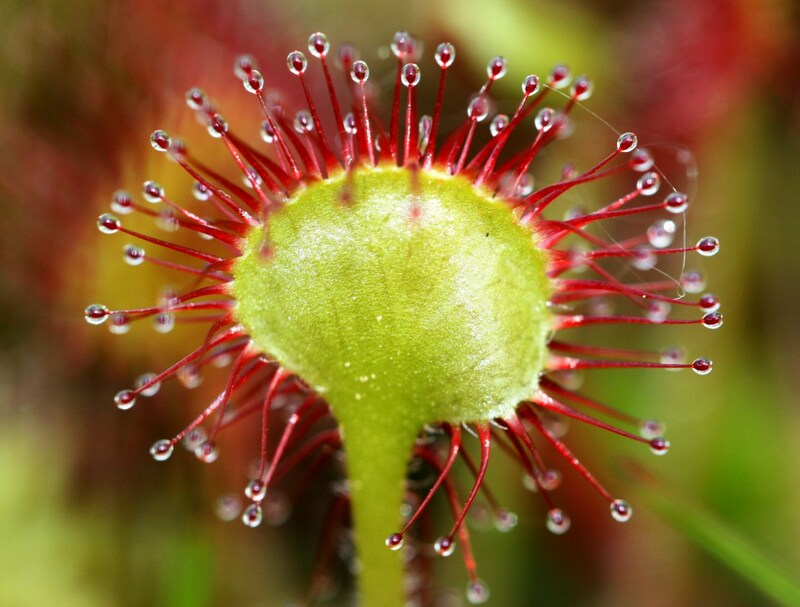 Round leaved Sundew leaf blades measure approximately one centimetre across.